Yes, it was a serious pain running this cable through the gear box, but It worked out great! 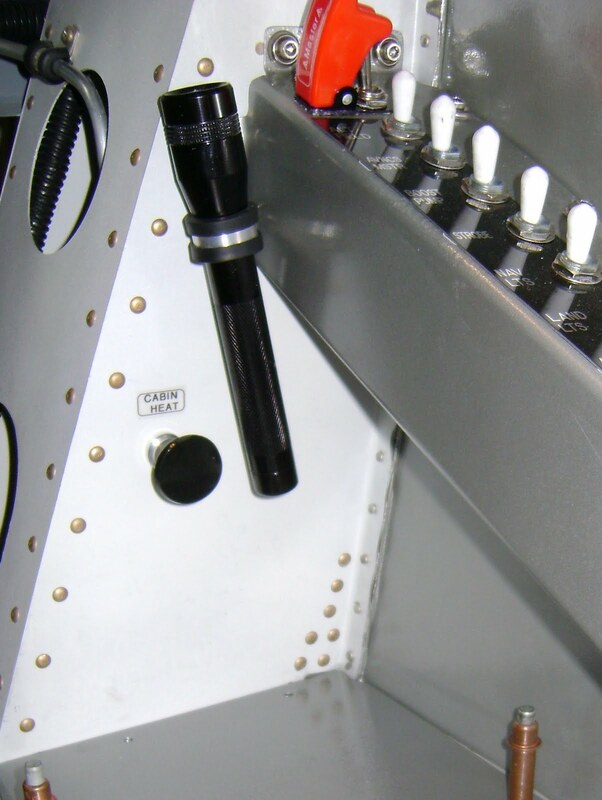 Pull the knob to introduce heat into the cabin, Push the knob forward(as shown) to turn the heat off. I also ran a matching Alternate Air knob/cable, in the exact same place, but on the opposite gear box. *You may also notice my little flash light mod that I stole from Jay Pratt in Ft. Worth. Thx Jay! This is how I ran the cable wire to the box. Works Great! 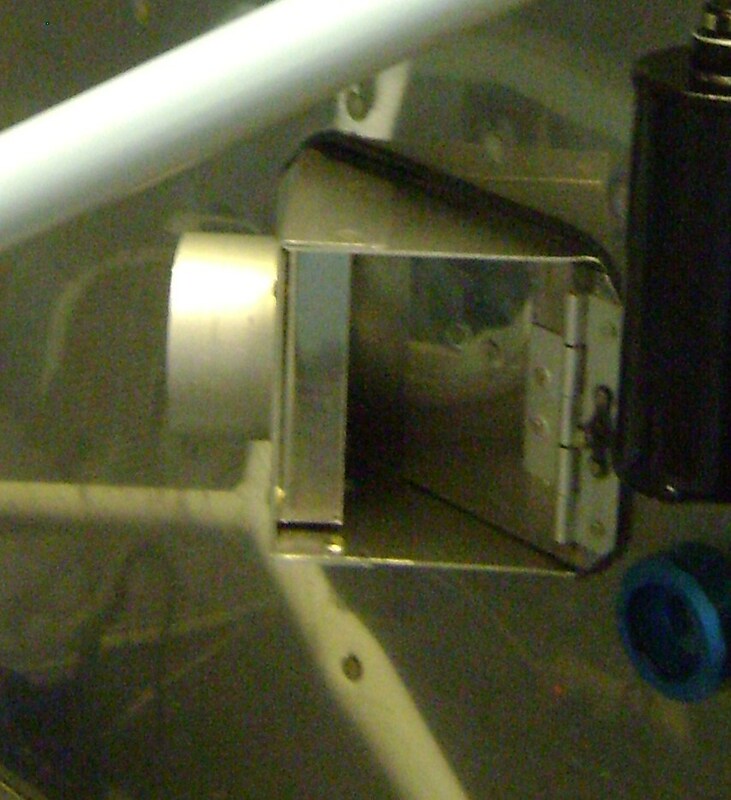 Here is the heat box on the forward side of the firewall. I prosealed it to help retain as much heat as possible.